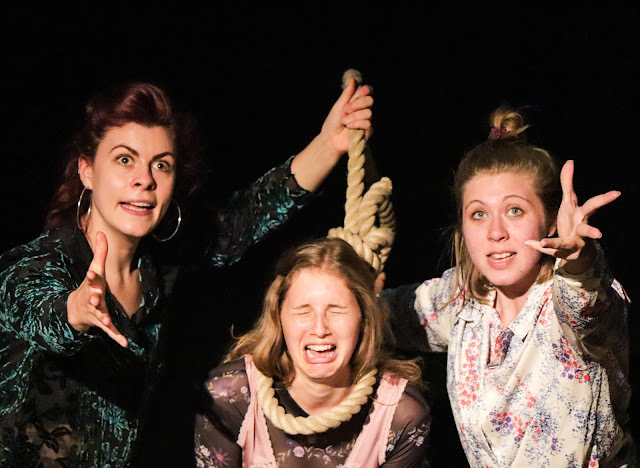 Shakespeare’s Mad Women is an ingenious dark comedy from Lady Garden Theatre. Written and directed by Abigail Smith, the slightly surreal play cleverly merges speeches from Shakespeare’s most iconic female characters with modern dialogue, emphasising the timelessness of the limbo they inhabit. Having been stuck in the post-death prison for the longest, Holly Cuffley’s Wild eyed Lady M acts as a sort of tough love aunt to Gabrielle Pausey’s livewire Ophelia, with Gala Wesson’s Juliet, the new arrival, quickly shedding her wide eyed bemusement and embracing her newfound self-reliance, bolstered by her fellow wasteland dwellers. The production’s beautifully simplistic design paints a bleak picture of the nowhere in which the three women reside. A baron room, with books, dainty crockery, and rose petals strewn about, perfectly embodies all that is stereotypically feminine about Shakespeare’s heroines. However, the women have no trouble putting their own stamp on the space, filling their teacups with moonshine exhumed from a mysterious trunk in the corner of the room. Shakespeare’s Mad Women is tightly directed by Abigail Smith. One particularly crafty moment set to music sees the women band together to plot ways to end their own lives in order to pass from purgatory into the afterlife. The dark humour of the sequence is excellent, with Ophelia and Juliet’s attempt to suffocate Lady M with a pillow acting as a sly nod to another of Shakespeare’s tragic heroines, Desdemona, who meet her demise in the same way in Othello. Of course, their attempts are unsuccessful, and when Ophelia is confronted with a bucket of water, and reluctantly plunges her head in as a last resort, the sequence meets a conclusion which is as satisfying for audiences as it is frustrating for the immortal characters. 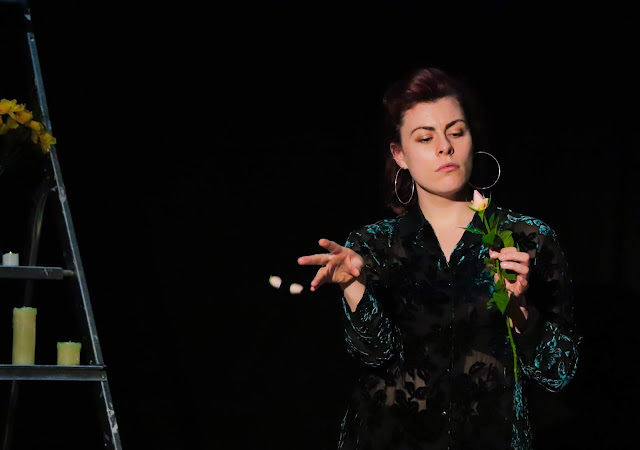 What’s clear by the end of the play is that Shakespeare’s 'mad women' are simply victims of circumstance, lashing out at the oppression they face as a result of their gender, before falling foul to the adversity. The play ends with a very clear message that the doting, obedient women in Shakespeare’s plays, defined by their relationship to the men surrounding them, are stronger and more complex than they are perceived to be, and that the only way to break away from the confines of the society they are imprisoned by is to rip up the rulebook and establish new rules for themselves. Audiences leave having heard the message loud and clear... but can somebody tell Cleopatra!